IBM® Watson® Content Hub is a cloud-based content management system (CMS) that powers digital experiences. It allows you to content-enable applications, from mobile apps to single-page applications, billboards, embedded devices and more. Rich application programming interfaces (APIs) let developers place content wherever it is needed, and the zero-configuration, embedded content delivery network (CDN) ensures high performance and global scale. An intuitive user interface (UI) lets marketers make updates more quickly. IBM Watson services such as cognitive tagging help transform disorderly assets into a searchable library. Build a rich content model and update images and text more easily and quickly. 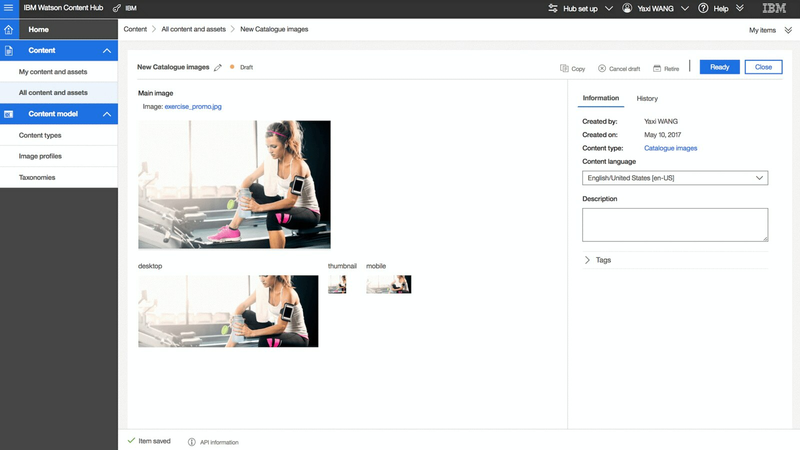 Automatic image profiles adapt your images for every usage. 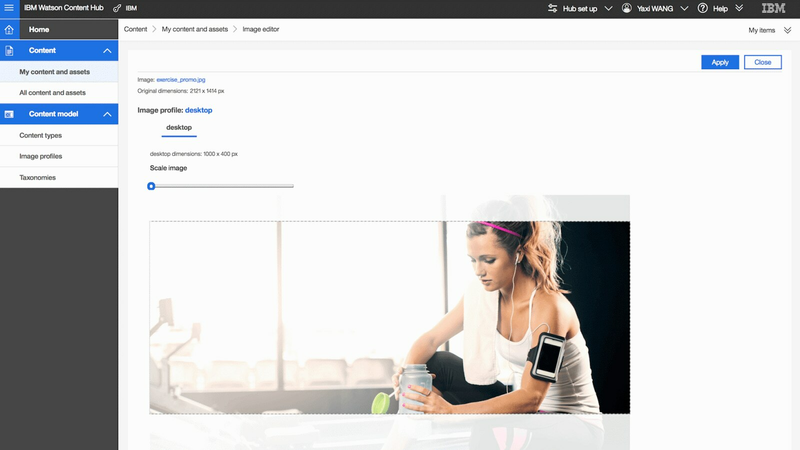 Augment your content metadata to make it easier than ever to find what you need. Scale flexibly with the integrated, zero-configuration CDN, and integrate content and content management functions wherever you need them using rich REST APIs. Include the whole team in content management—IBM Watson Content Hub is consumption-priced, so everyone can contribute at no extra cost. Try IBM Watson Content Hub free for 30 days. 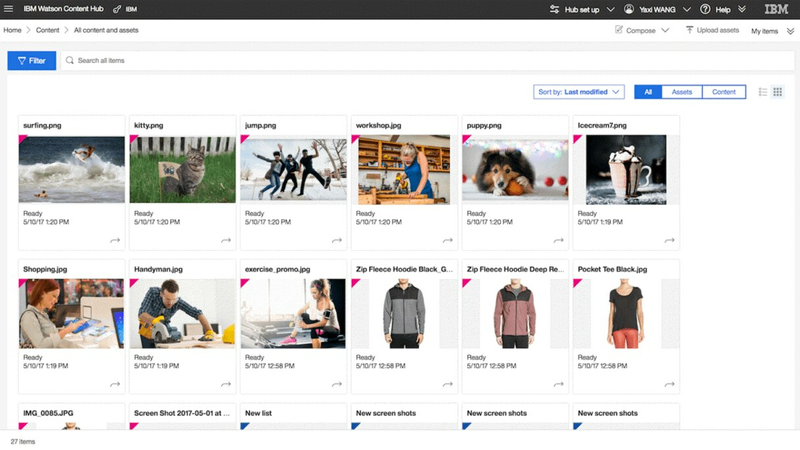 Headless CMS, with built-in Watson image and document tagging - content enable any application. Ideal entry point. Same as Essentials, plus features for creating and managing web experiences.